Have you been bothered by the following problems? must get the permission from you. Want to know more about this computer bodyguard? 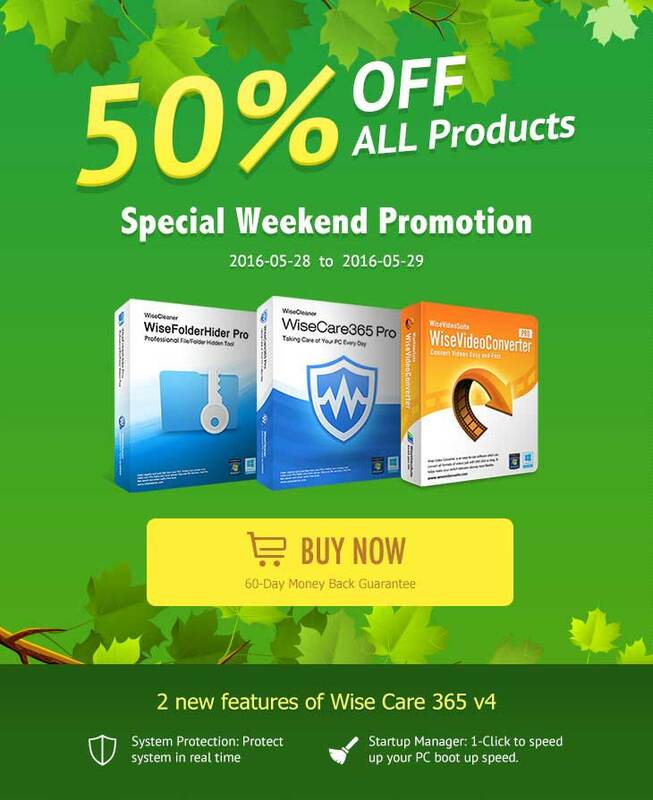 Now we offer 50% discount for all WiseCleaner products! Only 48 hours! Don't miss it! and Speed Up Your Windows PC with One Click! and other personal data from your PC. Any further questions, please feel free to contact us!